Mega-vendors and niche vendors aligned forces to expand on-premises business Intelligence battles into the cloud. The increasing commotion awakened one sleeping giant that has significant offerings and massive sales forces across both realms, Microsoft. If I were not a prisoner of these BI wars, I could share much more insight with you. Until I escape my captor, here is what you need to know about the BI universe and Microsoft BI as of January 1, 2016. For several years now, BI has been the #1 top ranked IT priority for CIOs and business leaders according to Gartner. There has never been a better time to be in the BI business. Numerous sources such as Forrester and IDC share forecasts of continued strong growth over the next five years. Globally BI revenue is projected to reach $20.81 billion in 2018 with one of the fastest growing segments being the cloud BI space. According to Redwood Capital, cloud BI accounted for a mere $0.75 billion slice of the pie in 2013 and is expected to grow to a $2.94 billion slice by 2018 for an estimated CAGR of 31%. The cloud BI forecasts combined with expected Internet of Things (IoT) data explosion and lower barriers to entry in the cloud world have attracted an endless list of newcomers. Mega-vendors and niche vendors have stepped up investments. They are literally on spending sprees building, buying or aligning with other cloud solutions across the entire data lifespan preparing for the digital business transformation. Today we are seeing massive portfolios of cloud micro-services, APIs, and SaaS apps saturate the market. Often these apps are low cost or free with caveats on the data. In a cloud world, data is gold. In 2015, the primary cloud BI players were Microsoft (Power BI and Cortana Analytics), Birst, GoodData, Yellowfin, IBM (Watson Analytics), Microstrategy, Oracle, Salesforce, SAP, SAS, Tableau, TIBCO Spotfire, Qlik and DOMO. Amazon (Kinesis and QuickSight) entered into the cloud BI game while Google’s BigQuery added Cloud DataLab. Every week there was news of another feature release, partnership, acquisition or start up. Aside from cloud BI, we are also seeing a few recurring themes and trends in the BI universe. Consumerization of BI and analytics software expedited related non-technical user support technologies such as automated insights and data prep, curated data sources, pre-packaged data models, self-service BI governance and free community-based technical support. BI maturity levels finally progressed to the point where predictive and embedded analytics are now mainstream. It is inevitable that hybrid BI, prescriptive and real-time analytics will get more love in 2016 as big data analytics, cognitive analytics and even emotion analytics take the stage as industry hot topics. Despite all the excitement and marketing emphasis from Microsoft on the cloud BI space, most BI implementations today happen on-premises. The same forecasts mentioned above estimate that cloud BI will continue to be just a tiny slice of the overall BI market opportunity for the immediate foreseeable future. Thus on-premises BI is incredibly relevant and cannot be forgotten or ignored. Microsoft awakened in 2015 and once again invested in on-premises BI offerings across SQL Server, Datazen, R, Excel and free Power BI Desktop. In late December 2015, SQL Server 2016 CTP 3.2 was released. Quietly a related public Microsoft BI roadmap was also shared containing truly disruptive on-premises BI market news. Microsoft Power BI Desktop publishing to on-premises SQL Server Reporting Services is indeed planned. That means customers with SQL Server 2016+ will be empowered to 1) securely share free self-service Power BI Desktop reports on-premises via SQL Server Reporting Services portal or other web portals like SharePoint with embedding, 2) roll out modernized, governed on-premises self-service BI powered by Microsoft technologies and 3) ultimately save money by streamlining cluttered BI portfolios. For a technical overview of what was shared at PASS Summit 2015, check out my SlideShare presentations. Power BI Desktop is Microsoft’s answer to Tableau Desktop, Qlik Sense Desktop, Spotfire Desktop, SAP Lumira Desktop and other competitive desktop self-service BI/data discovery offerings. Microsoft re-entering the on-premises enterprise BI game with Power BI Desktop will make waves and unquestionably add sales pressure for other BI vendors that have filled on-premises voids while they were sleeping. Of all the BI vendors, Microsoft has the largest existing customer base in the BI universe with unmatched reach via Office, Excel and SQL Server. When a giant like Microsoft wakes up from on-premises hibernation, it will not go unnoticed. 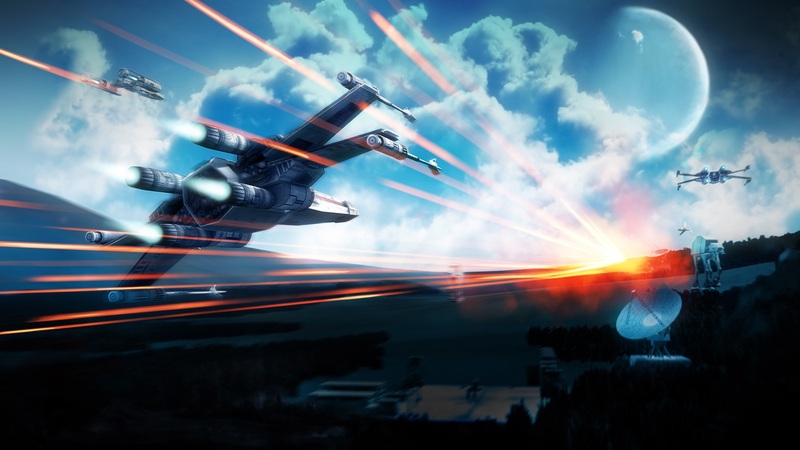 With the success of Microsoft Power BI in 2015 and increasing speed of innovation across all BI vendors, the BI wars throughout the galaxy are going to get quite a bit more interesting to watch evolve this coming year.